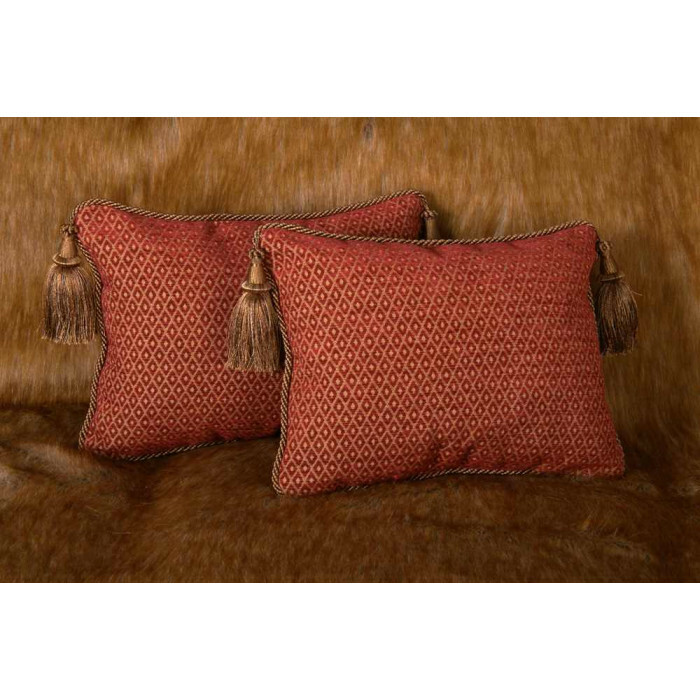 Old World Weavers Diamond Chenille Fabric with Lee Jofa Linen Velvet - Elegant Decorative Designer Pillows. 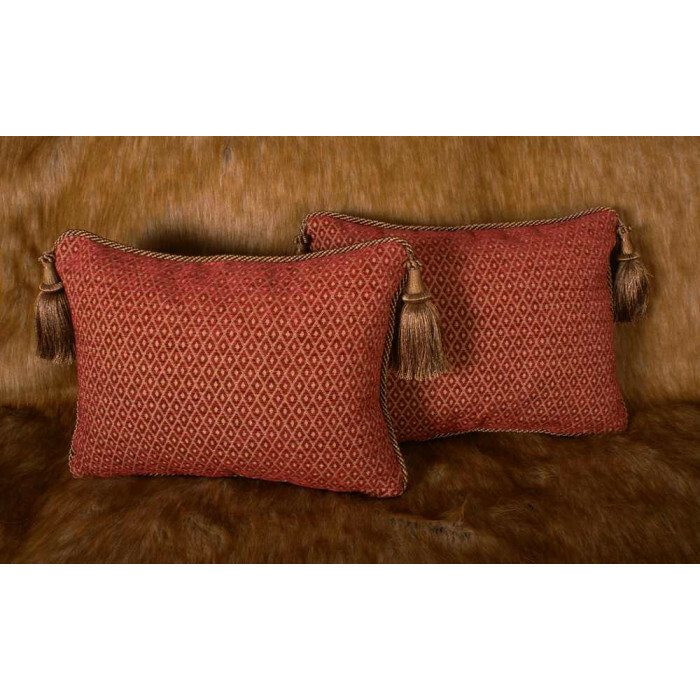 Elegant and Opulent Style, Luxury Interior Design through Heirloom Quality Designer Pillows by Spiritcraft Design and Spiritcraft Decorative Pillows. 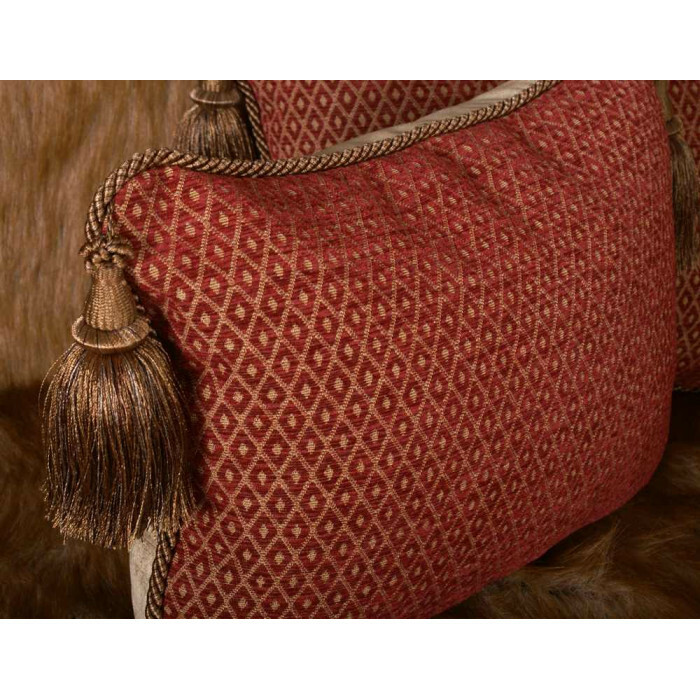 The facing fabric is an elegant $200.00 + per yard finely crafted Old World Weavers diamond Chenille in a red and gold. 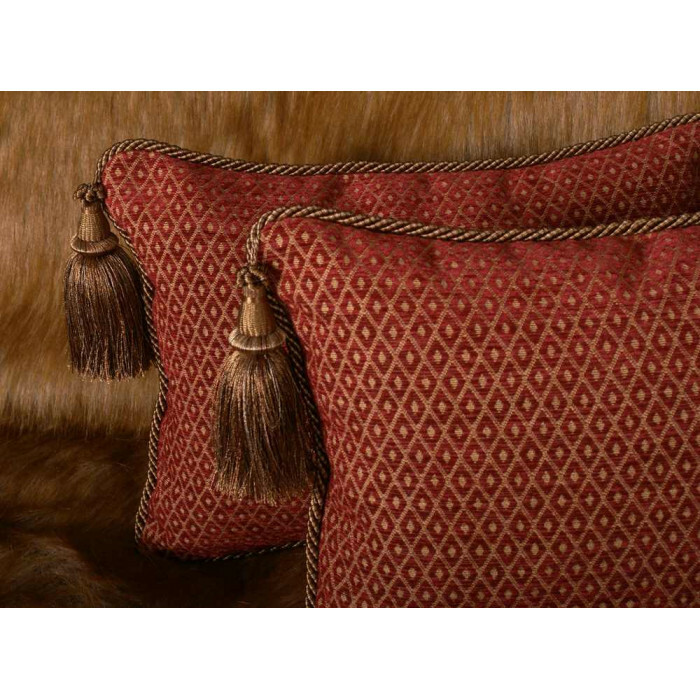 The Chenille is an extraordinary woven fabric that is exquisite in terms of both quality and design. 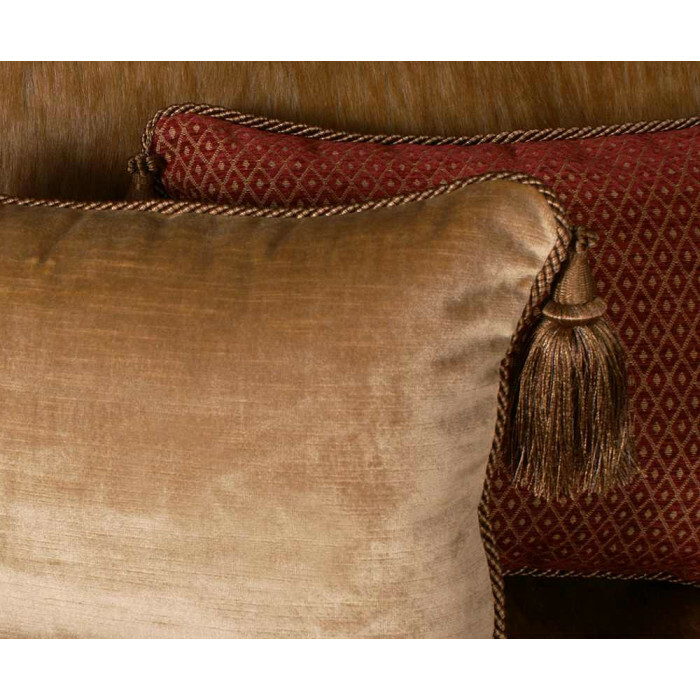 The color palette in gold and red shades is pure elegance, the craftsmanship exquisite and the design exudes a grand style. 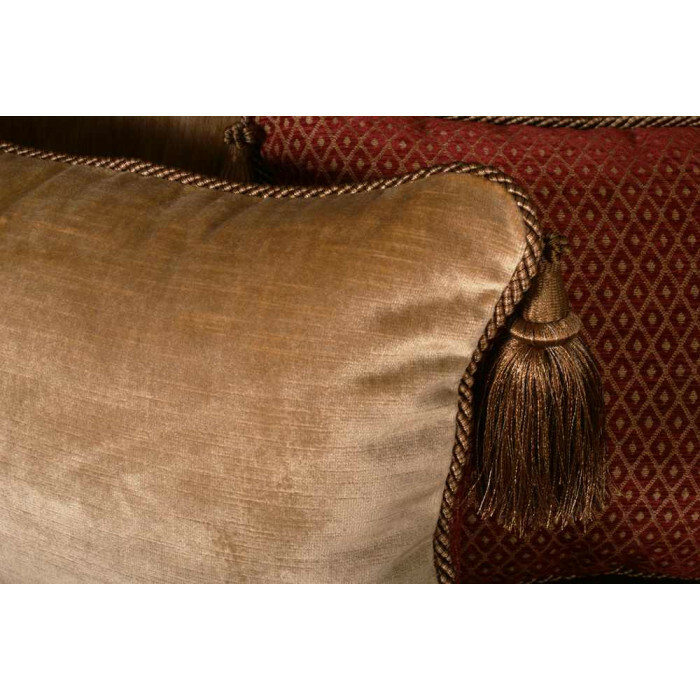 The backing velvet by Lee Jofa is an Belgian made fabric is absolutely high-end. 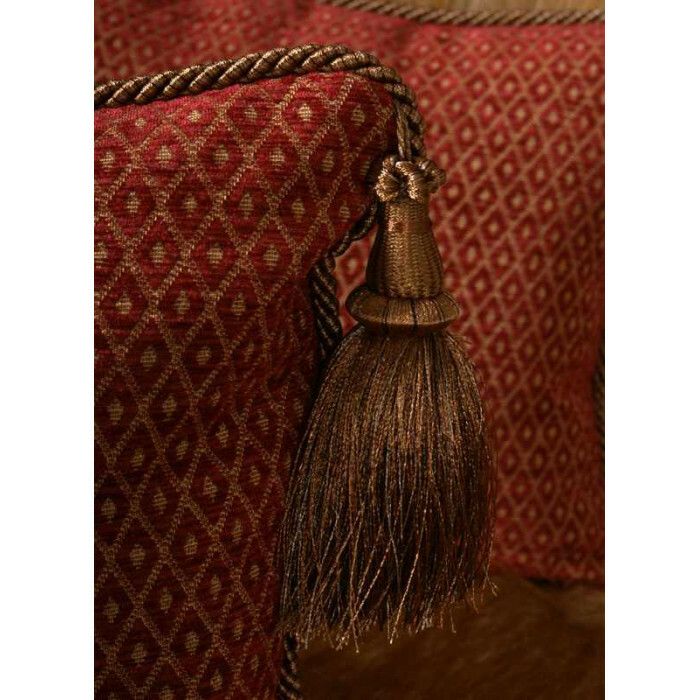 The velvet is extremely luxurious and the color is a perfect compliment to the facing Old World Weavers. 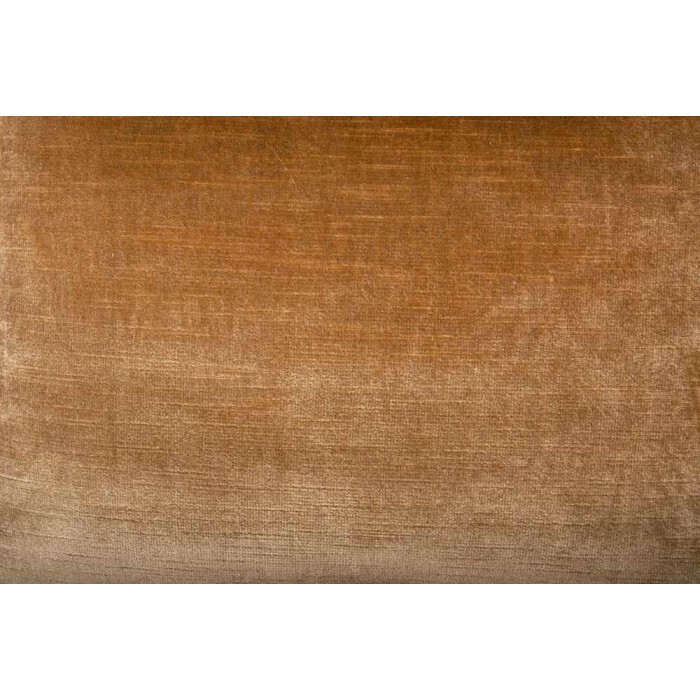 This fine $248.00 per yard velvet demands attention and is a pleasure to both the touch and to the eye. 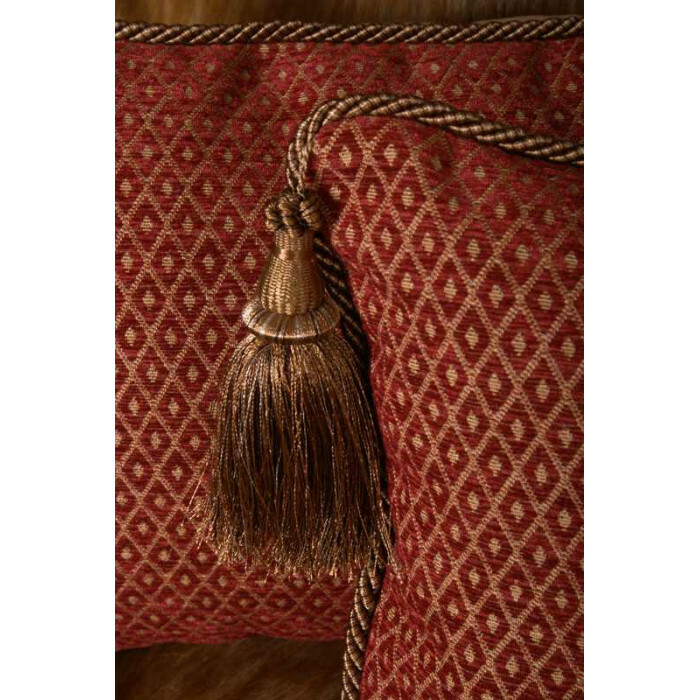 Perfectly matched substantial designer cord trim and tassels were added to the pillows to enhance the design and to add a further touch of elegance. 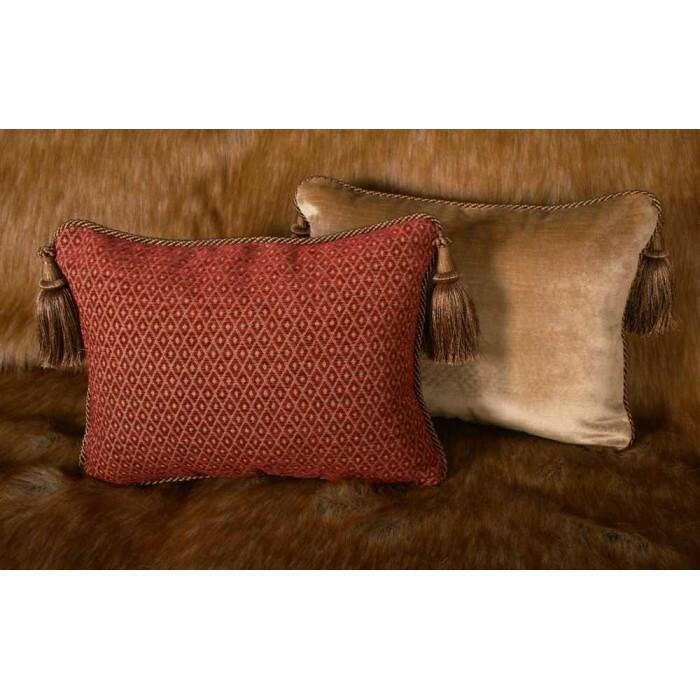 Contact us for custom decorative pillows in any fabric in any size, backing velvet and trim options! 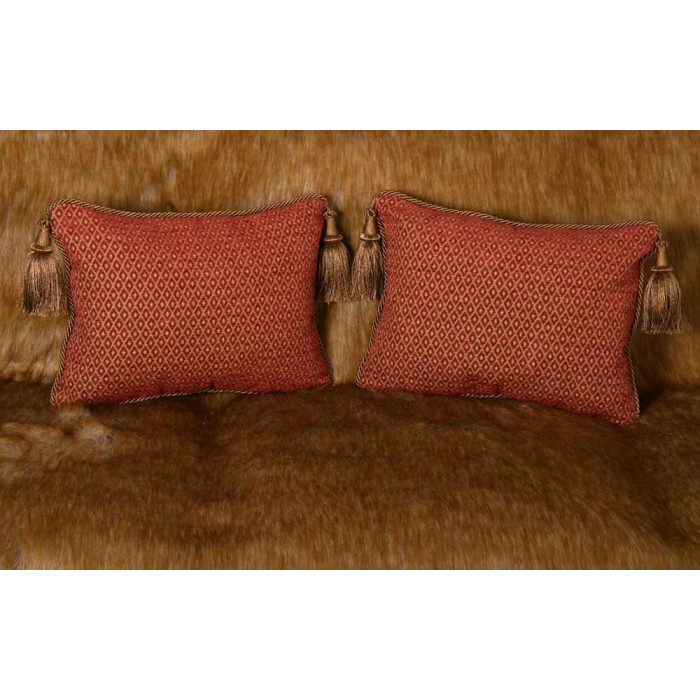 Select options above to further personalize this extraordinary decorative pillow set. Pillows Size: 13" x 18"